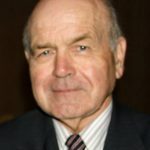 Harold J. Neeleman Jr., 80, a resident of Wildwood, IL passed away Wednesday, September 27, 2017 at Advocate Condell Medical Center in Libertyville, IL. He was born April 12, 1937 in Chicago, IL to Harold Sr. and Frances Neeleman. Harold is survived by his children Ronald Neeleman of Spring Hill, FL, Russell (Wendy) Neeleman of Antioch, IL, and Dawn (Don) Winnick of Hudson, FL, his grandchildren Laura Mingione and Christine Neeleman, his great-grandchildren Evie Mingione and Steven Collins, his sister Yvonne Neeleman, and his fiancé Kay Walker. He was preceded in death by his parents, his brother Robert, and his grandson Russell Jr. All funeral arrangements will be held privately and were entrusted to Strang Funeral Chapel & Crematorium, 410 E. Belvidere Road, Grayslake, IL 60030. For information, please call 847-223-8122 or go to www.strangfuneral.org. Robert T. Koehler, of Grayslake, passed away on September 26, 2017 at 74 years of age. Robert was born in Dixon, IL the son of Albert and Loyola (Fitzpatrick) Koehler. He graduated from Newman High School in Sterling, IL. Robert went on to obtain an MBA from Loyola University in Chicago and had a long career working at Hollister in Libertyville. Robert was a devout Catholic. He is survived by his wife, Sandra nee Adams of 46 years, they were married on August 21, 1971; daughter, Christina (Mike) Koehler-Gadawski; two sons, Michael (Tonnia) Koehler and William (Allison) Koehler, granddaughter Charlotte; grandson Landon; sister Kathy Manderscheid; nieces, Sarah (Chris) Irwin, Krista Koehler, Heather Vermette and Hillary (Joel) Morris; and nephews Jeff (Jennie) Manderscheid, Ted Koehler and Kurt Koehler. Friends of the family may visit from 1:00 pm until 5:00 pm Sunday, October 1, 2017 at Strang Funeral Chapel & Crematorium, 410 E. Belvidere Road, Grayslake, IL 60030. A funeral mass is scheduled for 10:00 am on Monday, October 2, 1017 at Transfiguration Catholic Church, 316 W. Mill Street, Wauconda, IL 60084. In lieu of flowers, memorial donations may be made to the charity of your choice. For information, please call 847-223-8122 or go to www.strangfuneral.org. 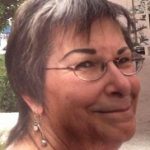 Janis M. Lecocq, age 75, a resident of Lake Villa, passed away Monday, September 25, 2017 in McHenry. She was born March 11, 1942 in Kankakee to Steven (Dorothy) Serve and Jessey (Robert) Bishop. Janis will be remembered for her love of animals and her message to all “squeeze it easy.” She is survived by her daughter, Dawn Carr of Kenosha, WI; her Morkie dogs, Max and Sam; her brothers, Steven (Ellen) Serve of Bourbonnais, IL and Pete (Maureen) Serve of Eureka, MO . She was preceded in death by her husband, Jerry Lecocq and her son-in-law, Gregory Watson. A visitation is scheduled for Saturday, October 7, 2017 from 12:00 pm until 2:00 pm at Strang Funeral Chapel & Crematorium, 410 E. Belvidere Road, Grayslake, IL 60030. Interment will be held privately. For information, call 847-223-8122 or visit www.strangfuneral.org. Infant Demaya Arielle Baxter was called to heaven on September 22, 2017. She was loved by so many especially by her parents, Alicia Davis and Devonte A. Baxter; grandparents, Yadira Cordova, Felita Rankins and Devan Baxter Sr; great grandparents, Ema Cordova, Jasper Cordova, Patricia Golden, Tyrone Golden, Ralph Noland Jr, Donald Baxter and Eugenia Baxter; Aunt, Fierra Liberty; uncles, Jimmy Gonzalez, Devan Baxter, Jr, Ryan Relucio and a host of great aunts, great uncles and cousins. She was preceded in death by her grandfather, Michael Edward Davis. A visitation and funeral mass is scheduled for Saturday, September 30, 2017 from 10:00am until 11:00am with a funeral mass commencing at 11:00am at St. Gilbert Catholic Church 301 E. Belvidere Rd. Grayslake, IL 60030. Interment will be held at Ascension Catholic Cemetery. For more information please contact (847)223-8122 or log onto www.strangfuneral.org. 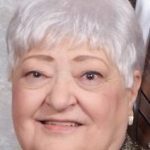 Maria Kleman of Mundelein, IL passed away Monday, September 25, 2017. Interment is scheduled for Friday, September 29, 2017 at 11:00 a.m. at Avon Centre Cemetery at Route 83 and West Shorewood Road in Grayslake, IL. For information, please call 847-223-8122. Dorothy “Dee” J. Vlasak (nee: Stephens), 77, a resident of Grayslake, passed away peacefully with her family by her side Saturday, September 23, 2017. She was born July 29, 1940 in Chicago, IL to George and Mary Stephens. Dee was a past president of the Lake County Mothers of Twins Club and of the Woodland school PTA and was also active in the Wildwood Women’s club. She was the best mom and grandma, volunteering as a room mother at Woodland school and as a den mother for her sons’ Cub Scout Pack 71, along with attending school and sports functions for her children and grandchildren. Dee enjoyed crafting, sewing, playing the slot machines at the casinos and was an avid Bingo player. She loved spending time with her family especially her grandchildren. Dee is survived by her husband of 58 years, Floyd, her children Laura Lee (Henry) Tussing, Linda (Daniel) Bouma, Diane (Robert) Scheuber, Joseph (Kelly) Vlasak, John (Diane) Vlasak, and Sharon (Corey) Clark, her grandchildren Adam and Douglas Tussing; Kayla, Kasey, and Jessica Bouma; Michael and Christine Scheuber; Benjamin, Christopher, Matthew, and Anna Vlasak; Austin Clark; and her brother Glenn Stephens. She was preceded in death by her parents and her siblings Betty Ann and Lester. A visitation is scheduled for Friday September 29, 2017 from 4:00 pm until 8:00 pm at Strang Funeral Chapel and Crematorium 410 E. Belvidere Rd. Grayslake, IL 60030. A funeral service is scheduled for Saturday September 30, 2017 at 10:00 am at the funeral chapel with visitation beginning at 9:00 am. Interment will follow at Highland Memorial Park in Libertyville. For more information please contact (847) 223-8122 or log onto www.strangfuneral.org. God smiled as he welcomed, Cathryn L. Bormann, 94, home. 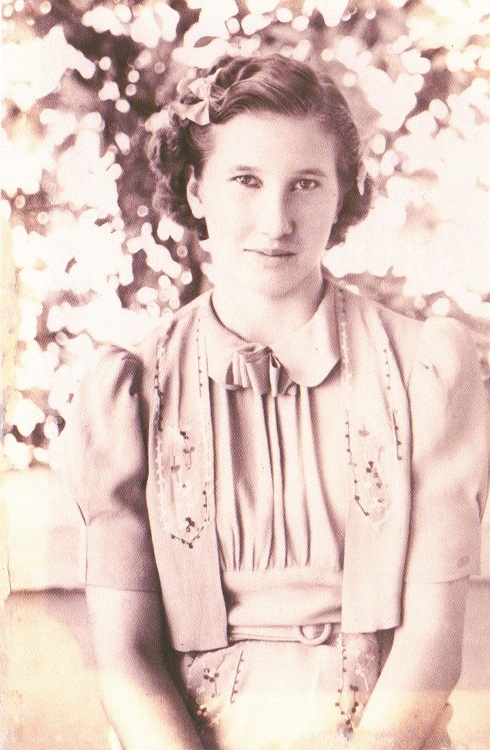 Born in Parkridge, IL on June 29, 1923 the daughter of William and Anna O. Bormann. After graduating from Park Ridge High School, Cathryn attended Ravenswood Hospital nursing school before enlisting the in the US Army. As a 1st Lieutenant in the Army Medical Core she served as a nurse in the Pacific Islands until the end of World War II. After her return she worked many years for Marshall Fields department stores where she became one of the first women to become floor department manager. Cathryn lived most of her life in Park Ridge Chicago area but moved to Grayslake, IL after her retirement. Cathryn loved adventuring in downtown Chicago, Christmas time at Marshall Fields, decorating her home and the Cubs. She was a very talented artist with a passion for building miniature 1 inch scale doll houses and shadow boxes. 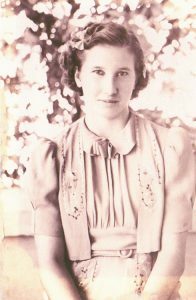 She enjoyed reading about the world, a good novel, needle point, photography, and was always ready to go antique shopping. She enjoyed life to its fullest, her way! Cathryn was devoted to her family and her very special Grayslake friends, especially Anita and Darlene. She is survived by her nieces and nephews. Preceded in death by her beloved parents and three sisters Arlene, Marion and Patricia. A private burial will be held at Town of Maine Cemetery in Park Ridge. All funeral arrangements were entrusted to Strang Funeral Chapel & Crematorium 410 E. Belvidere Rd. Grayslake, IL 60030. For more information please contact (847)223-8122 or log onto www.strangfuneral.org to offer condolences. Agnes Muirl Poehler, 95, formerly of Mundelein and Antioch, IL went to be with her Lord and Savior Jesus Christ, Friday, September 15, 2017 at Hillcrest Nursing Home in Round Lake Beach, IL. On June 13, 1922, a beautiful baby girl was born in a small house to Harry and Muirl Shimmin of Tryon, Nebraska. Agnes spent her early childhood years in and around Tryon. She also lived in Northern Wisconsin and Grayslake, IL before the family returned to Tryon. She completed the 8th grade and discovered quilting at the age of 11, as well as canning vegetables and baking. When she was almost 18 years old she moved to Illinois and found a job cleaning homes and worked for a couple of years when she met the love of her life, Walter Floyd “Fritz” Poehler. They were married October 11, 1941 at St. Paul’s Lutheran Church in Round Lake Beach. He passed away November 20, 1977. 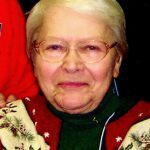 She has been a member and longtime volunteer of St. Paul’s Lutheran Church since 1941. She taught many people how to can vegetables, make jam, bake and basic homemaking skills. Agnes made the best doughnuts and baked goods and was best known for her beautiful quilts. Two of her quilts hang in the Nebraska Historical Museum in Lincoln, NE. She was devoted wife, mother, and grandmother. Agnes is survived by her daughter Patricia (John) Fosdick; son Walter Thomas Poehler, son-in-law Edward Schroeder; half-sister, Dorothy; grandchildren Tracy (Collin) Bailey; Susan (Brian) Bako; John (Melanie) Poehler; Kathy Schroeder; great-grandchildren Nicholas, Nathaniel, Jayden, Ian, and Emma; great-great-grandson Adrian; and many nieces and nephews. She was preceded in death by her parents Harry and Muirl Shimmin; her husband Walter Poehler; her sisters Marian Simonsen and Mattie “Bee” Elizabeth Radke; brothers Allen and Roger Shimmin; and her daughter Elsie Marie Schroeder. Agnes had a heart of gold and would do anything for anyone. She was generous with her time and talents and will be missed by all who knew and loved her. A visitation and funeral service is scheduled for Saturday, September 23, 2017 from 9:00am until 10:00am with the service commencing at 10:00am at St. Paul Lutheran Church 420 Greenwood Dr. Round Lake Beach, IL 60073. The interment will follow at Ivanhoe Cemetery in Mundelein. In lieu of flowers, donations may be made to the church, Disabled Veterans of America www.dav.org or PO Box 14301 Cincinnati, OH 45250, or Smile Train www.smiletrain.org or Vitas Hospice, 580 Waters Edge, Suite 100, Lombard, IL 60148. All funeral arrangements were entrusted to Strang Funeral Chapel & Crematorium 410 E. Belvidere Rd. Grayslake, IL 60030. For more information please contact (847)223-8122 or log onto www.strangfuneral.org. 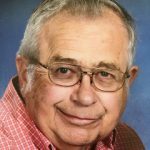 Lewis “Bud” R. Hoose, 69, a resident of Lake Villa, IL, passed away Tuesday, September 12, 2017, at Advocate Condell Medical Center in Libertyville, IL. He was born July 21, 1948 in Chicago, IL to Lewis and Elsa Hoose. Bud was a veteran having served with the US Navy during Vietnam War. He had retired from Oracle as Senior Project Manager. Bud starred in “The Littlest Angel” in 1955 on WGN 🙂. He served for the Boy Scouts of America for 35 years in various capacities and earned the Silver Beaver Award in 2006. Bud is survived by his wife of 48 years, Patricia, his children Peter (Annie) Hoose, Nathan (Laura) Hoose, and Andrew (Jennifer) Hoose, his grandchildren Oliver and Juliette, and his siblings Harriet (Bob) Burns and Paul (Carolle) Hoose, and scouting family. He was preceded in death by his parents and his sister Ginger Miller. A memorial visitation and service is scheduled for Saturday, September 30, 2017 from 1:00pm until 4:30pm with memorial service commencing at 4:30pm at Strang Funeral Chapel & Crematorium 410 E. Belvidere Rd. Grayslake, IL 60030. In lieu of flowers, donations may be made to the Boy Scouts Ma-Ka-Ja-Wan Fund c/o NEIC 2745 Skokie Valley Rd. Highland Park, IL 60035. Bud donated his body to science for Cancer Research. For more information please contact (847)223-8122 or log onto www.strangfuneral.org. William Erwin Kielgas, age 77, a resident of Grayslake, passed away Tuesday, September 12, 2017 at his home. He was born June 5, 1940 to Erwin and Delilas Kielgas. He was a member of Lord of Glory Lutheran Church in Grayslake. He is survived by his wife of 56 years, Elaine, whom he married on May 6, 1961 in Hilbert, WI; his sons, Mark (Kimberly) of McHenry, IL and Bruce (Jennifer) of Shanghai, China; grandchildren, Stephanie (Peter) Kinder, Brady Kielgas and Emma Kielgas; and one sister, Sue (Art) Fochs of West Bend, WI. He was preceded in death by his parents. Friends of the family may visit from 9:30 a.m. until the time of the service at 10:30 a.m. on Monday, September 18, 2017 at Lord of Glory Lutheran Church, 607 W. Belvidere Rd., Grayslake, IL 60030. Interment will follow at Willow Lawn Memorial Park, 24090 US Highway 45, Vernon Hills, IL 60061. In lieu of flowers, memorial donations may be made to American Cancer Society or Lord of Glory Lutheran Church Comfort Dog—Tobias. Arrangements were entrusted to Strang Funeral Chapel & Crematorium, 410 E. Belvidere Rd., Grayslake, IL 60030. For information, call (847) 223-8122 or log onto www.strangfuneral.org.